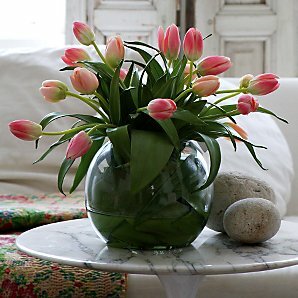 Blushing pink tulips presented in a glass globe bowl, with leaves wrapped around the inside and water-effect resin. 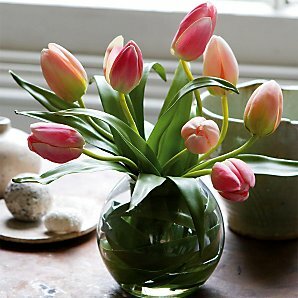 Made to look fresh and authentic, the flowers and leaves are handcrafted from silk and other materials. The height of this arrangement is 32cm.